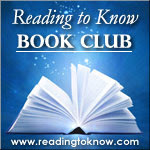 This month for the Reading to Know Book Club we read The Little Prince , by Antoine de Saint-Exupéry. This title was selected for us by Amy at Hope is the Word. Normally it would be Amy who is wrapping up this book club discussion but if you've paid attention to her life over at Hope is the Word, you know that she is in the process of moving. Things are a little hectic and crazy over at her place at the moment and so I told her not to worry about writing up a blog post! Instead of Amy you get me. I'm sorry for that too. Ha. I read The Little Prince this past week. I found it be bizarre and confusing. I can't say that I got a whole lot of out if it and I can't in good conscious admit to enjoying it. Yet, there are those out there who absolutely love this book! I decided to spend my time in this post trying to find out why it came to be. Before reaching Earth, he has visited other planets and met some very odd people: a king, a conceited man, a drunkard, a lamplighter, a geographer. . . . In order to return to his planet and his rose, The Little Prince allows himself to be bitten by a poisonous snake. . . . The aviator, who has succeeded in repairing his plane, also quits the desert. He still hopes The Little Prince will return one day and asks us to write and tell him if ever we should meet his friend. In my online research I discovered that each planet that The Little Prince has visited is supposed to describe a different aspect of human nature. As I was reading the book I suspected that the planets each represented something but frankly I couldn't imagine what and I wasn't sure that I necessarily cared. As I mentioned, the book read off as a very odd little story to me and I like my stories to, well, make instant sense. The Little Prince was published in 1943. After the outbreak of World War II, Saint-Exupéry was exiled to North America and during this period of upheaval in his life, alongside poor health, he wrote the majority of this book. It's meant as a children's book but there are apparently so many undertones and subjects for adult readers to dive into that it's enjoyed by people of all ages. 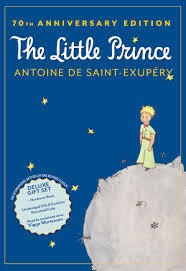 It is suspected that the character of the Little Prince was based on himself. The rose is thought to be his wife, Consuelo. There is a great deal of information about Saint-Exupéry on Wikipedia and while I might normally copy more from the website to share with you all, in this case I'd just suggest going to reading through the page for yourself. There is a lot to learn about the man and this book. I can't say that I'll be wanting to read this book again, but I can say that I appreciate it a little better knowing more about the personal history of the author. Did you read along this month? We'd love to know about it if you did. Please let us know in the comment section below. Next month begins the Chronicles of Narnia Reading Challenge here at Reading to Know. This will be held in conjunction with the book club. You've got a couple of days left to gear up for it. Looking forward to the challenge and the fun! I found a handful of quotes I liked, in some cases really liked, but overall the story just wasn't great for me. I did find it confusing and odd. Mixed in with the oddness there was a strange sort of beauty every now and then. But still. Not one that I can say "this is the best book ever!" about. But I am glad that I've read it. Can't wait for the Narnia challenge! "As I was reading the book I suspected that the planets each represented something but frankly I couldn't imagine what and I wasn't sure that I necessarily cared." I had mixed feelings about the book too. It was a cute little story, but I didn't want to invest the mental or emotional energy into figuring out all the symbolism either. I'm sure with subsequent readings I might get more out of it, but I probably won't return to it without a reason to. I'm still glad I read it once though. And it's another book off my shelf! Woo-hoo! I'll have to explore those sites you linked to more, though! It's SO interesting hearing when people (whom I respect) have opinions completely opposite mine! I loved The Little Prince, thought it was darling and enjoyable and meaningful. I enjoyed that it made me think. That said, I have no desire whatsoever to hear what other people (that is, professionals) think the book means. What I've heard so far from other people's reviews inclines me to think that others interpret it much more cynically than I.
I remember liking it, especially enjoying many of the quotes, which I can't remember now, fifty years later. I do remember the little prince's drawing of the snake swallowing the elephant! It was a child's book, but also very profound and deep on an adult level. I am one of those who loves this book. I feel that it belongs in a philosophy category, but I feel that way about Alice in Wonderland as well. I think there is a depth to these books that can add another facet to the way we view the world around us.